With its largest event to date approaching, the American International Motorcycle Expo (AIMExpo) today announced its 2015 keynote speaker – True Value Company President and CEO John Hartmann. 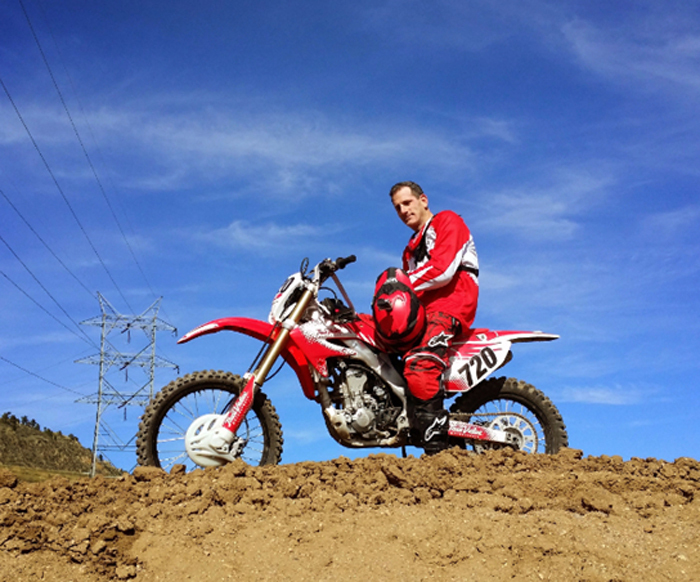 Hartmann is an avid motocross rider, but in the business world he has nearly two decades of corporate experience at the senior executive level, including 11 years in the home improvement/hardware retail sector. Hartmann will share some of his experiences and progressive business models with AIMExpo attendees on Friday, October 16 from 9 a.m. to 9:45 a.m. inside the Chapin Theater at Orlando’s Orange County Convention Center. Intended for all industry attendees – dealers, media and exhibitors ? Hartmann will kick off day two of AIMExpo’s trade days. True Value is one of the world’s largest retailer-owned wholesale hardware cooperatives with gross billings of over $2.0 billion in 2014. The True Value cooperative includes approximately 4,400 independent retailer locations worldwide with 13 regional distribution centers, approximately 2,500 True Value Company Associates and over 35,000 store associates. Hartmann’s commitment to an aggressive plan of growth for True Value, ensuring the future success of its retailers and associates, is a significant reason why he’s become a respected figure in the business world in his short tenure with the company, which he joined in May 2013. With past experience at big box giant The Home Depot and industrial distributor powerhouse HD Supply, Hartmann possesses a diverse range of knowledge and a knack for improving businesses exponentially. Perhaps even more intriguing is Hartmann’s 10 years as an agent for the Federal Bureau of Investigation (FBI). As someone who was assigned to a variety of the FBI’s investigative areas, Hartmann honed interpersonal skills – listening, understanding and empathizing – that have had a significant impact on his ability to grow businesses. Moreover, his affinity for two wheels makes him particularly invested in the health of the greater powersports industry, and it’s why he’s eager to share his experiences and strategies with the AIMExpo audience. More than 500 exhibitors have already committed to AIMExpo in 2015. Exhibitor presence builds each day and companies looking to take advantage of the AIMExpo platform should contact an AIMExpo Account Manager toll free at 855-MCShows (855-627-4697).